This album is a collection of some very old pieces I wrote years ago and recently stumbled across again. These tracks are still some of my favourites, so I felt it worthwhile putting them into a proper release for you. Unlike a conventional album, which may be written in a certain style or with a certain influence, this album shows a lot of different directions I like to take myself creatively. There are heavy tracks, light rock tracks and even a finger- style acoustic piece! If you have any questions, please don't hesitate to contact me at andy@andyjamesguitaracademy.com, I do read all my emails but may not be able to reply to everyone! As with all my music, each of these pieces really meant a lot to me at the time of their writing, so I hope you get as much out of them as I did. There is an option to get the Guitar Transcription eBook with all 11 tracks, leads and rhythm parts notated perfectly along with Guitar Pro files for each of the tracks! Practice makes perfect, so don't be discouraged if you can't land every lick first time – this stuff is TOUGH. Take it slow and I'm sure you'll pick up a ton of cool new riffs, runs and soloing ideas for your own material. Wait! 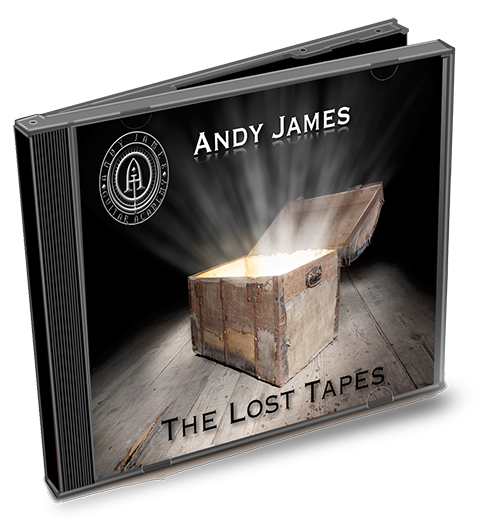 Want A FREE Track from the new album The Lost Tapes? Enter your email below to receive a FREE track - 'Scars of Reality' from the new album delivered to your inbox instantly.